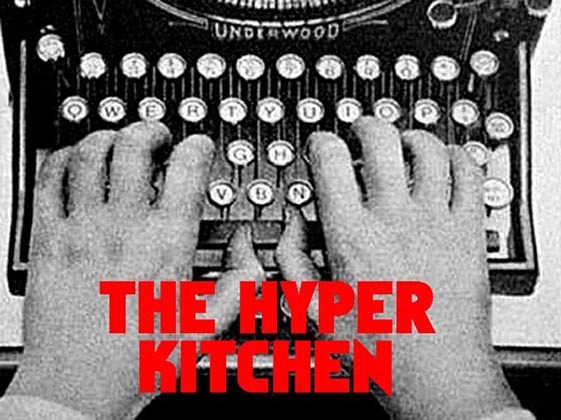 The Hyper Kitchen: "The Man Who Created Himself" or "I Have No Legs, but I Must Dream." "The Man Who Created Himself" or "I Have No Legs, but I Must Dream." 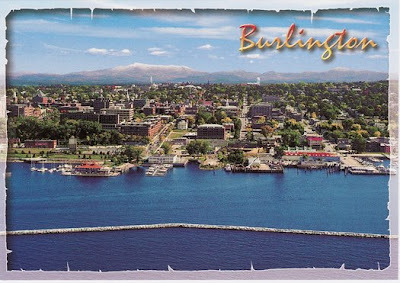 Burlington: a city of eight million stories. But who's responsible for this mecca of hemp-based products? As it's been four hundred years since the discovery of Lake Champlain by the French, the Hyper Kitchen thought it was high time someone solved this mystery. And, brother, this one has to be our strangest case yet. One for the file marked X, to be sure. Eavesdropping in smoke-filled lowlife bars and viewing reel upon reel of microfiche down at the station, we made the explosive discovery that Burlington has its own creator deity. According to Abenaki mythology, shortly after the creation of the universe, a figure named Odzihozo (or "The Man Who Created Himself") roamed Vermont. As this was well before the invention of legs, he dragged his body around with his powerful arms, digging out the valley that eventually became Lake Champlain and the area that would go on to become Burlington. 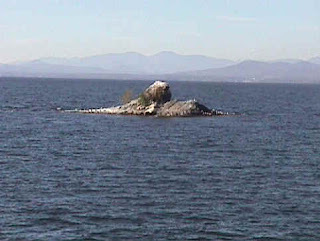 Odzihozo was so taken by his accidental creation that he transformed himself into an island rock so he could watch the valley for all of eternity. This landmark...or lake-mark, if you prefer, currently goes by the decidedly Anglo name of "Dunder Rock." The are eight millions stories in this naked city, and this has been one of them. The only one, I'll wager, with a legless god. 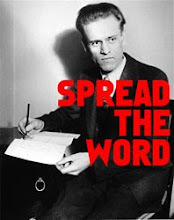 Is there some prophecy about his eventual return? This one really takes the cake. That's why I'm giving it my highest internet kuidos, The Star *. Good work Hyper Kitchen and may all your daily vital supplements be satisfied. For the first time I have begun to read the tags for the articles. I'm especially pleased with the last tag for this one.